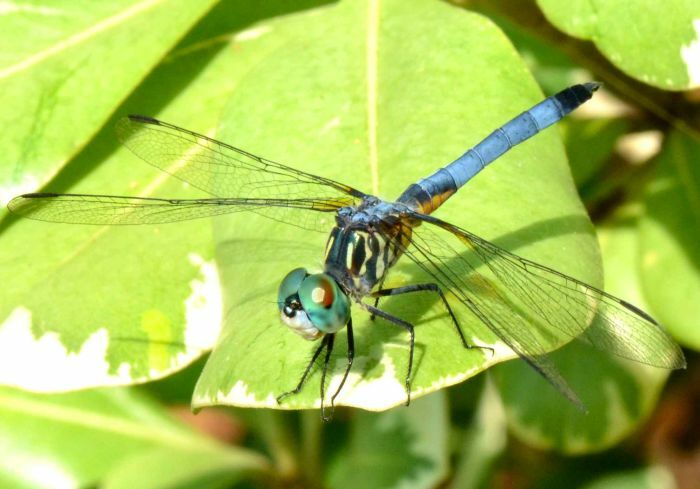 Pachydiplax longipennis (Blue Dasher) ♀. Size: approx. 40 mm. Photo: 07/19/11, 10 am. Another dragonfly: a female blue dasher Pachydiplax longipennis. This one is a skimmer. 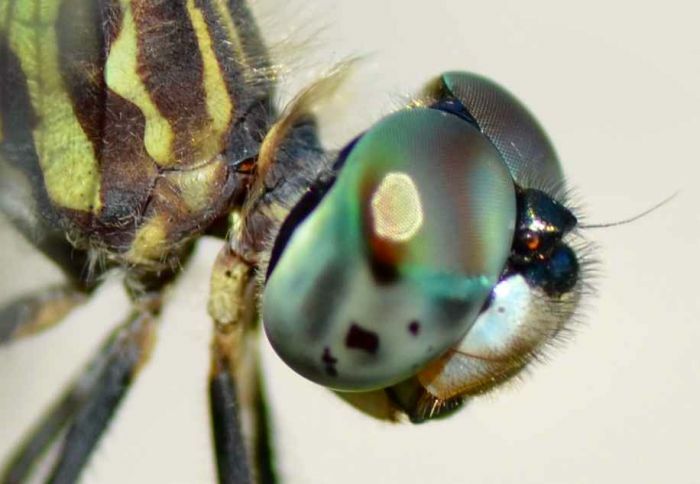 Below is a close-up of the face (left photo) and another specimen (right photo). 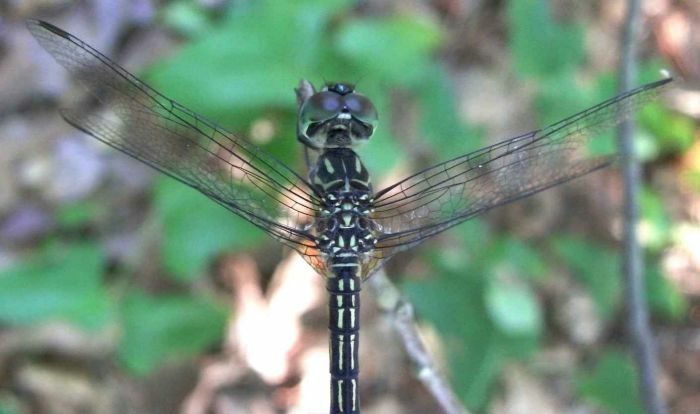 Pachydiplax longipennis (Blue Dasher) ♂. Size: approx. 30-40 mm. Photo: 07/21/11, 5 pm. 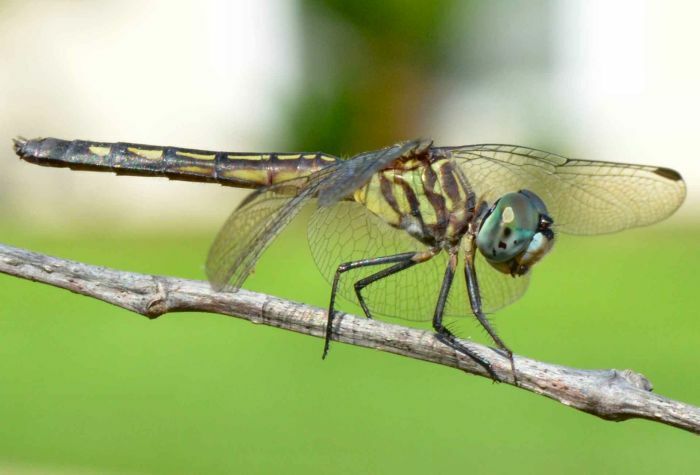 As for many other dragonflies, the males look quite different. This here is a male blue dasher Pachydiplax longipennis. The mature male is completely (powdery) blue. The bug guide refers to this stage (half-jokingly) as "tweens".